Slightly boxy, slight boat neck, the back has a special detail. 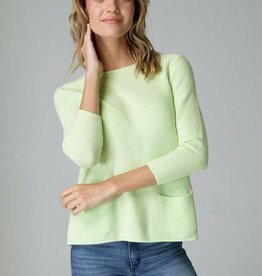 This 100% cotton sweater is the soft to the touch and surprisingly light weight. High-waisted, wrapped chambray denim mini skirt with flirty ruffle hem. 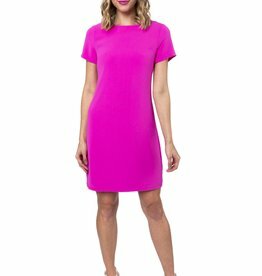 The Everest Dress is a classic silhouette in a bold hot pink color.